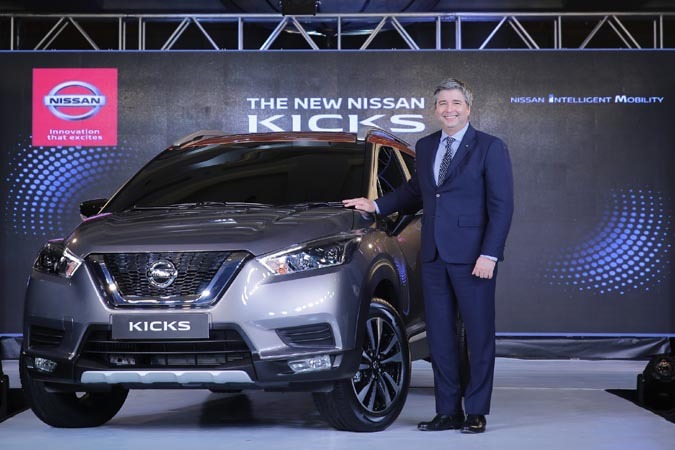 MUMBAI, India (Oct. 18, 2018) – Nissan today unveiled the progressive design of the most awaited SUV in India. The NEW Nissan KICKS sports a unique wider and robust style underlined by a Dynamic Sonic Plus line, Wheel-oriented Stance and a Distinctive 3-dimensional presence. The body is designed and built with GRAPHENE(Gravity-philic Energy Absorption) Body Structure, which has inherent capability to absorb impact energy making the NEW NISSAN Kicks Stronger, Safer and Durable on Indian roads.